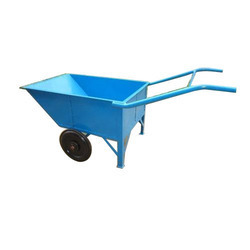 We are highly recognized firm engaged in manufacturing and supplying Material Handling Wheelbarrow. Profoundly use in construction industries, gardens and coal handling, these products are known for highly durable and corrosion resistant among our clients. We fabricate these products by using best quality mild steel sheets and round pipes, thus increasing their efficiency and service life. Apart from this, we offer these in varied configurations at affordable price range as per customers' need. 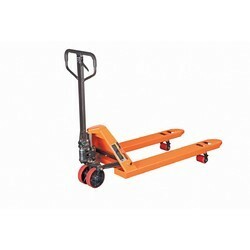 This variety Skid Jack / Mobile Pallet System that is available with us is very effective in carrying very heavy loads. These are provided with very good quality wheels that are rust resistant to ensure smooth and secure movement of loads from one position to another. Our Drum Tilter are very efficient equipments engaged in the tilting of very heavy drums. These find their use in factories to hold drums securely while lifting, moving or discharging them. Our product is of superior quality owing to its sturdy nature and firm grasp. 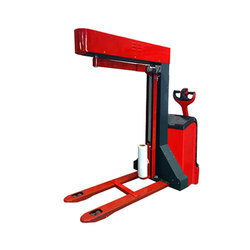 We offer hydraulic trolley-type drum lift. 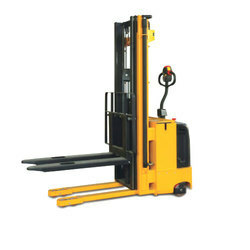 These lifts are used for lifting an object vertically and the horizontal transportation of it. It has a rotation drum of 360 degree and it can be operated only by a single personnel. We provide customized lifts and our hydraulic drum lifts are made with specific instructions from our clients. The Shree Modi company’s Skid Jacks function with semi-mobile skids or platforms and these perform as a combination of transport and storage system. When the Jack is engaged with the Platform, the same becomes a mobile Platform, a pallet which can be moved within the warehouse/factory. The platform is stationary and is used as a Pallet. 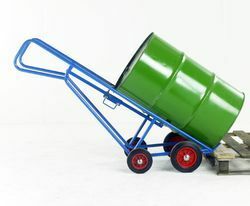 Only when the Jack gets engaged with the Platform, it becomes a trolley/mobile platform which is moved from one place to another Skid Jacks have been designed to face difficult conditions. These can handle loads and maneuver the same even in the most congested of places. Since these are inexpensive and very compact they can be used as unit-load containers, which can be moved anytime and anywhere it is required. 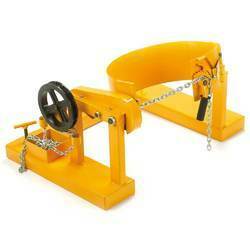 These Jacks reduce human fatigue for there is no stooping nor lifting required to be done by the workers. After being positioned below the platform these lift the loads automatically. The Skid Jack has been very cost-effective for our clients and time wastages have reduced considerably with its introduction in factories. 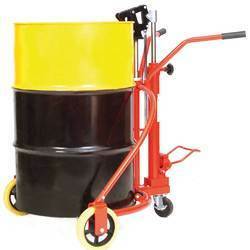 Our manufactured and supplied Drum Truck is widely accepted in the market for their high strength and durable wheels. These trucks are manufactured by utilizing premium quality material with the use of latest technology, which makes them excellently finished and maintenance free. Our skilled professionals render these products in accordance with clients laid specifications while following latest industrial norms. Our clients can avail from us Cylinder Storage Trucks for 6 Cylinders (BOB-124). These trucks are suitable for carrying up to 6 cylinders. Our trucks come with strong wheel for convenient movement of cylinders. 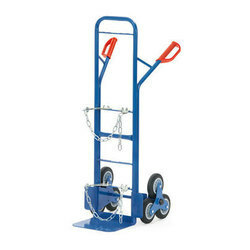 We also offer these cylinders trolleys to the clients at cost-effective rates. Moreover, we have options to attach more wheels as per the requirements of the clients. 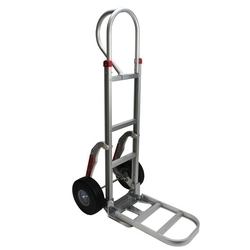 We offer high quality made Hand Cart. These are ready for wide applications. The robust design and sturdy look provides ease at work. The handle is made such that any worker will easily help it towards the required destination. 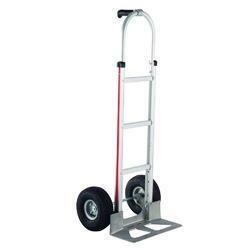 We offer our clients a vast assortment of Hand Truck that has high load bearing capacity and is provided with polyurethane / uhmw-pe tandem rollers for quieter and smoother rolling over rough surfaces. Both standing on the platform and Pedestrian types are available. AC electronic controller PGDT / Curtis. Gas Spring-loaded Control Handle automatically applies the parking brake when the handle is released. A built-in pressure relief valve protects the trucks from overloads, increases the reliability. Battery side extraction: Battery can be removed from the side, making it very convenient to replace and maintain batteries. Self-Diagnostics provided through the digital display allow easy troubleshooting without the use of an external hand-held analyzer.